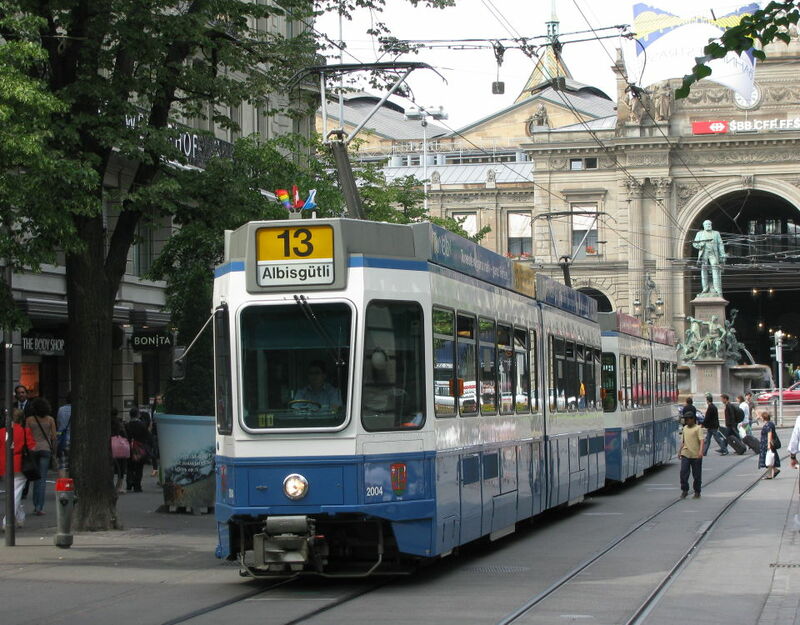 Several people have recently written to me asking for a list of named tramcars in Zürich. Quite by coincidence (or maybe not? ), a discussion on bahnhofplatz.net has pulled together precisely this information. Numbers in bold indicate trams still carrying their names. With the exception of Basel, Nancy and Street Parade, all these names take after after districts, neighbourhoods or areas of Zürich. Some names appear to be matched to the numbers randomly while others echo the city district (Kreis) numbers. Besides the names, the corresponding arms are also carried.